New York, NY, USA, February 12, 2019 – MCW Global awarded four Alumni Ventures Fund (AVF) grants, totaling almost $15,000, to young leaders from around the world. These young leaders are working hand-in-hand with grassroots organizations to pursue projects that make a difference in their own communities. As recipients of the AVF grant, each individual will receive financial support and a year of professional mentorship to help turn their vision plans into concrete community-based projects. To date, MCW Global has awarded 17 AVF grants totaling more than $61,000 granted since the fund’s founding in 2009. 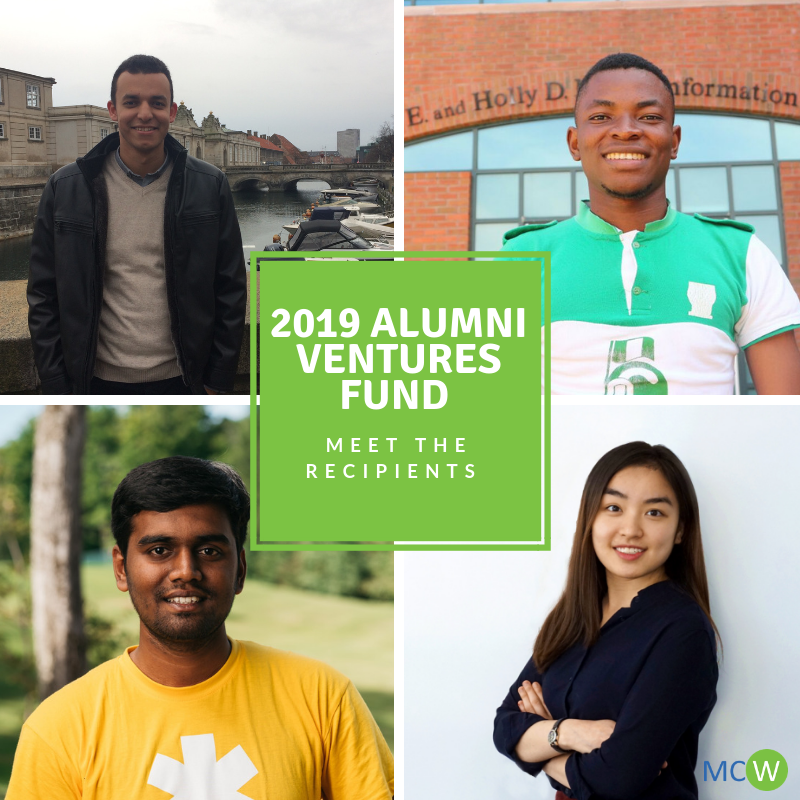 These four young leaders bring a range of experience and interest to their projects, from linking the United Nations’ Sustainable Development Goals and local volunteerism in Egypt to training individuals in First Aid in Nigeria and from diversifying educational opportunities in India to combating gender stereotypes in Vietnam.